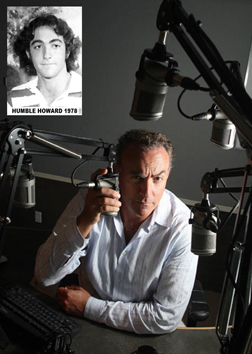 Howard Glassman, CCI grad-Class of 1978, commonly known as Humble Howard, is a Canadian radio personality, best known as co-host with Fred Patterson of the Humble & Fred morning show, which had been heard on Edge 102, Mojo 640 and Mix 99.9 in Toronto. Currently, Glassman can be heard weekdays on Toronto's Boom 97.3 morning show, Boom Breakfast Show with Humble and Colleen, along with Colleen Rusholme. Ah, Humble Howard. We ran in different circles way back then (crap, I just did the math - 32 yaers!) but I recall even back then you had plans for celebrity. It's always good to see people acheive their goals. Wish I was going to be there, but unfortunately it's not to be.